In a pellet plant, the pellet mill is the equipment that mainly decides if quality pellets can be produced. There are enormous parts in a pellet mill. Among all the pieces, the bearing plays an important role as it is one of the several parts that the roller is composed of. Occasionally, the customer will find their pellet mill fails to make pellet because the bearing is broken. The reasons can be various. From our experience, there are 4 reasons that mainly cause the early failure to the bearings. Reason No.1: incorrect installation. We find that, in rare cases, people use a hammer to hit the bearings so that they can fix the bearing tight. This inappropriate method will make huge damage to the bearing, and what worse is that it will make the bearing deformed slightly. In some other cases, on the opposite, the bearings are found installed untightly, or not in the right position. This will lead to a too narrow clearance. The inner ring and outer ring are not center aligned. Check your bearing to see if this is the reason in your case, if it is, install the bearing again with professional tools and test it. Reason No.2: poor lubrication. In our research, bearings that are not lubricated properly is another reason to cause early failure. Because the bearings without lubrication will shorten its service time dramatically. Pay attention to your lubrication schedule and stick on it. Use the recommended grease or oil type. Reason No.3: contamination. 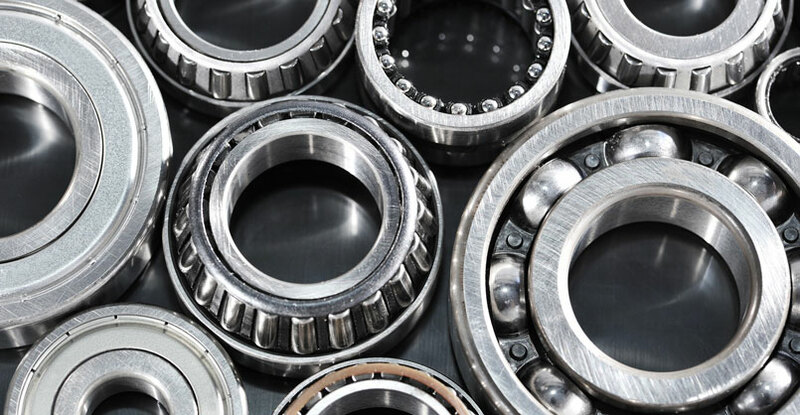 If the bearings are not well taken care, there will be dust or metal fragment entering into the bearing. This sometimes makes great trouble to the bearings. To avoid this happening, there are two suggestions for you. First, instead of unpack the package of the bearing at the first time, you only unpack it at the moment before the bearing is installed. Second, Keep the installation environment clean and keep bearing seal well. Reason No.4: mechanical fatigue. This reason is normally seen in the pellet plant factories where the machine is in overload operation, the equipment is not maintained in time, or the parts are in aging condition.